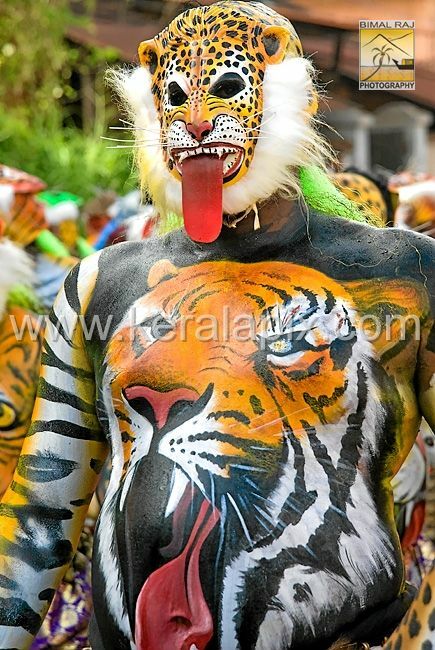 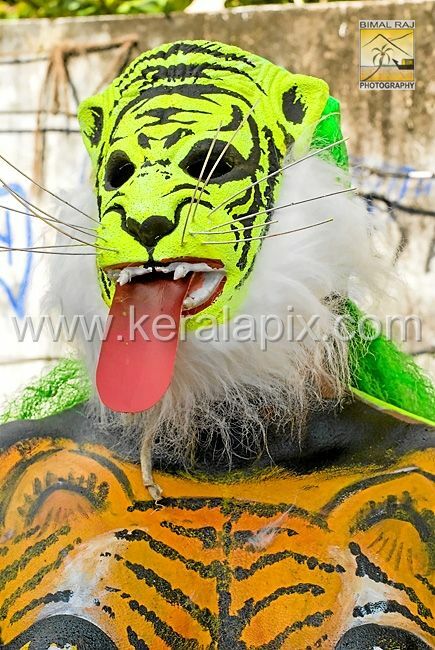 In Puli Kali, a group of performers paint their whole body like tigers and wear mask. 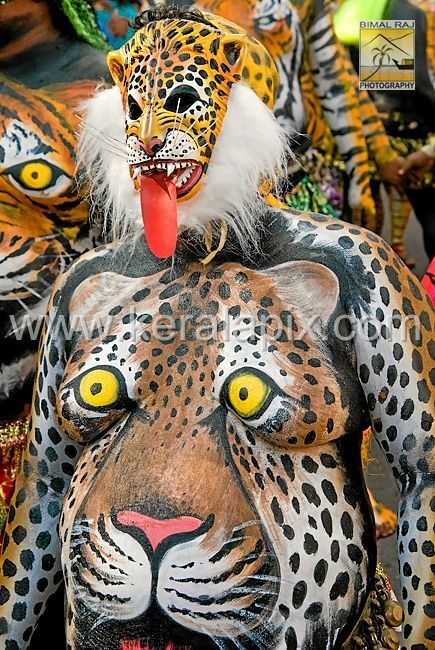 First, the dancers have to shave off the hair from their body and then the base coat of paints is applied on them. 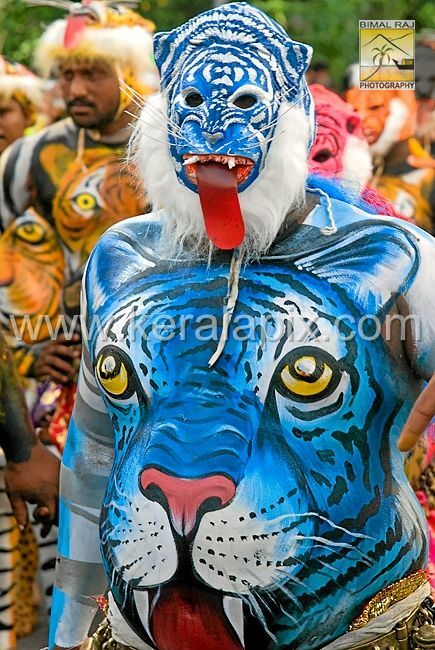 After two to three hours, the second coat of paint is applied with different designs according to the Pulikkali painting artist.